Are You Helping to Spread This Important Early Literacy Message? Are You Helping to Spread This Important Early Literacy Message? 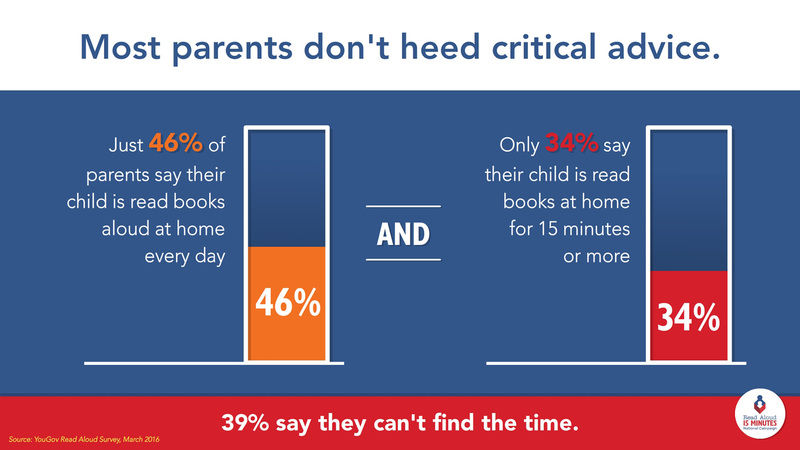 During March Read Aloud Month this past spring, a YouGov survey reported the discouraging news that fewer than half of parents (46%) read aloud to their children every day, and only 15% do so beginning at birth, the start of a period of rapid brain development when reading aloud is particularly beneficial. If only there were an organization that could unite the efforts of the many groups seeking to change those numbers, to promote literacy, to improve education and to inspire a love of reading and learning. 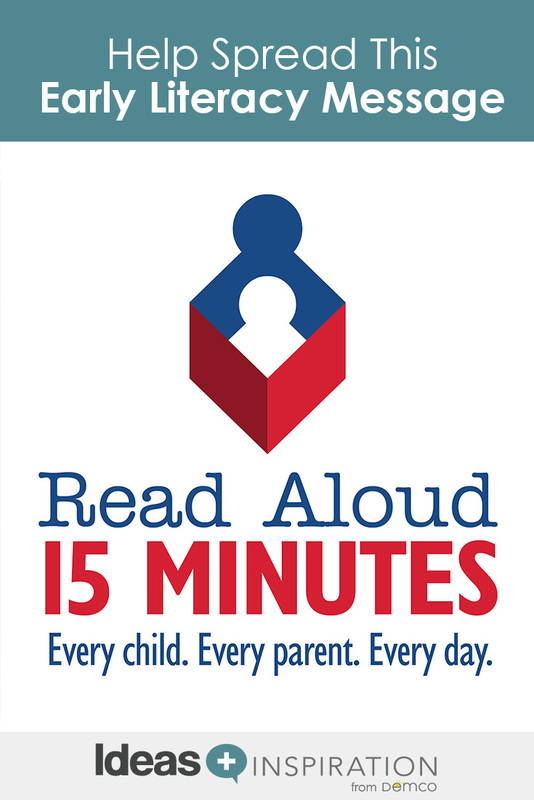 Read Aloud 15 MINUTES launched a 10-year National Campaign in 2013 that aims to make reading aloud for 15 minutes, starting from birth, the national caregiving standard in order to improve educational and social outcomes in the United States. Now in the fourth year of its campaign, Read Aloud 15 MINUTES has recruited more than 10,000 partners in all 50 states; signed on 20 National Leadership partners, including the state universities of New York and North Carolina, corporate leaders such as UPS and KPMG, retailers such as Home Depot, and nonprofits such as First Book and Reach Out and Read; logged more than 180,000 social media followers; and delivered more than 100 million messages last year. Libraries and librarians have been key to this growth, and among the most important and active adopters of Read Aloud 15 MINUTES’ messaging. 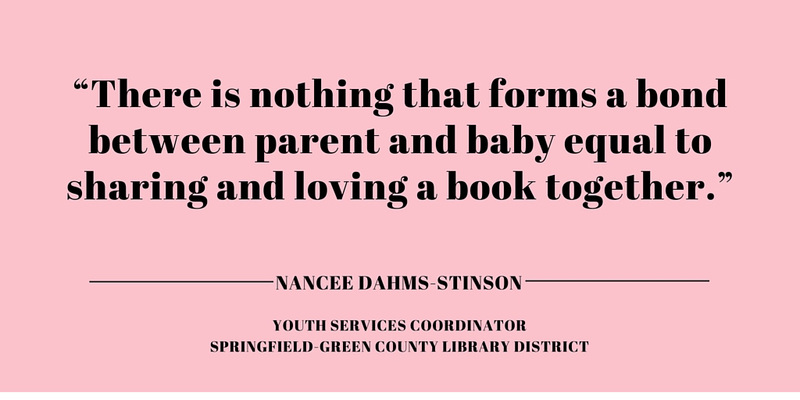 Last month, the nonprofit recognized Nancee Dahms-Stinson, the Youth Services Coordinator for the Springfield-Green County Library District in Springfield, Mo., as one of five national Read Aloud Champions who have served as catalysts for the messaging in their communities. Dahms-Stinson has recruited more than a dozen partners across a variety of sectors in her community, helped encourage local media coverage and assisted partners in integrating the messaging into their existing programming. 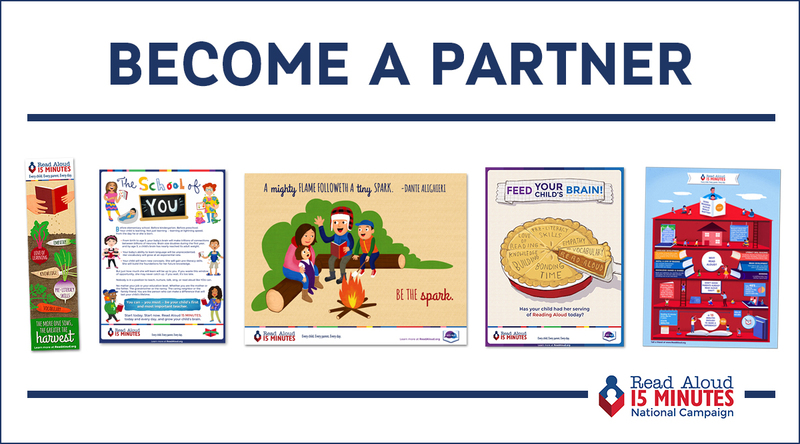 Read Aloud 15 MINUTES provides its partners and supporters with innovative, professionally designed materials during three campaign pulses each year: March Read Aloud Month, July’s “Seize the Summer,” and October’s “Let’s Talk” initiative. During these intervals, Read Aloud 15 MINUTES asks partners to make a concerted and coordinated effort to reach parents and caregivers of young children with the vital message to adopt daily reading aloud. 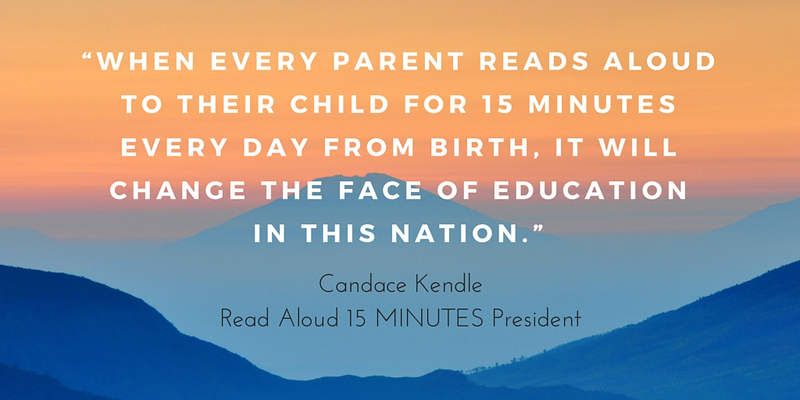 “We believe that if parents truly understood the amazing, and finite, window of opportunity they have to shape their child’s brain for the better through reading aloud, they would absolutely do it,” says Read Aloud 15 MINUTES Executive Director and co-founder Bob Robbins. Using these materials and her formidable energies and innovative ideas, Young has made her county a model for what is possible in a community. She has recruited more than 120 Read Aloud partners across all sectors, and even spearheaded new initiatives, such as the “Bucket of Books” campaign in health care providers’ offices. “To have a national organization act as our parent has given us a one- to two-year head start on our goals,” she said. To learn more about the campaign, or to become a partner, go to www.ReadAloud.org. Jennifer is a co-founder of Read Aloud 15 MINUTES, and as a board member, she develops the nonprofit’s creative and marketing efforts, helping to shape the 10-year National Campaign that Read Aloud 15 MINUTES launched in 2013. She is also a children’s book author of the award-winning Cole Family Christmas and Hilda, A Very Loyal Goat. She appeared as a featured author and representative of Read Aloud 15 MINUTES at the National Book Festival in Washington, D.C., in 2009, 2010 and 2011, as well as the LA Times Festival of Books in 2010 and the Southern Festival of Books in Nashville in 2009. Prior to her work at Read Aloud 15 MINUTES, she was a professional editor and journalist for USA TODAY’s editorial page in McLean, VA, and served as a wire and copy editor for The Cincinnati Enquirer in her hometown of Cincinnati. Jennifer graduated with honors from Duke University with a degree in History and Spanish, and completed a master’s degree in U.S. History from Yale University. She is the mother of three young children and lives in Alexandria, VA.